Does the air in your home seem stuffy? Have your allergies been flairing up a little more lately? Then maybe it’s about time you schedule an air duct cleaning in Terrell, Texas. An air duct cleaning will clean and purify your indoor air, increase the efficiency of your HVAC system, and even decrease your monthly energy bill. Plus, KIWI provides an exceptional two-year air duct cleaning gurantee. We want to ensure that there will be no mold regrowth in your air duct system for two years or else we will reapply our antimicrobial treatment at no charge to you. KIWI Services provides both full-system air duct cleaning and vent-only air duct cleaning for your convenience. No matter which professional air duct cleaning service you choose, it will ensure that the air that you breathe is clean and free from mold and mildew build-up that can be harmful to your health. 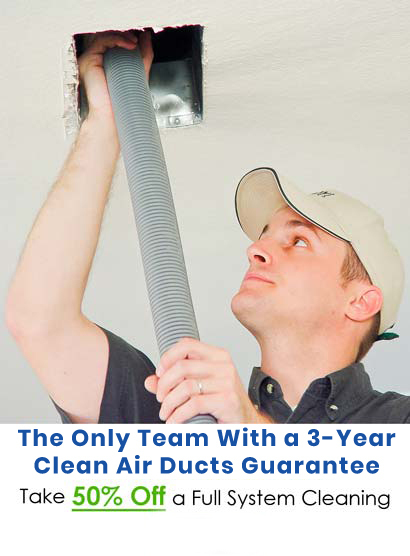 Call today to schedule an appointment for an air duct cleaning in Terrell. We’re always happy to provide you with the level of service that our Terrell customers have come to expect from KIWI Services.